Alicante is a Spanish city and capital of the eponymous province of Alicante. The city has a population of about 335 thousand people. Alicante is one of the most important Mediterranean ports. 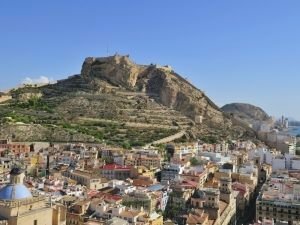 The territory, on which today is located the town of Alicante has been inhabited by people seven thousand years ago. In 1000 BC Phoenician merchants began to arrive on the east coast of Spain, basing small port sites. They train local Iberian tribes pottery and the alphabet. In the third century BC the armies of Carthage and Rome are trying to invade and seize control of the Iberian Peninsula. Then the fortified settlement was established. Although the Carthaginians conquered much of the land around Alicante, the Romans eventually dominate over the long Spanish territory. Moors run the south and east of Spain to the eleventh century. In 1246 the town was captured by Castilian King Alfonso X, but quickly became part of the Kingdom of Valencia. The town became a royal town and is presented in the Valencia Parliament. Alicante becomes the main outlet for the export of wine, olive oil, rice, oranges and wool. In the early eighteenth century, after the War of Spanish Succession, Alicante enters into a long period of decline. Thanks to the fishing industry and agricultural production, the city overcame the crisis in the eighteenth and nineteenth centuries. Exports of many products had increased, especially during the First World War. In the early twentieth century Alicante experienced a new period of prosperity. Political unrest in the late twenties of the twentieth century led to the victory of the Republicans, as well as the abdication of King Alphonso XIII. 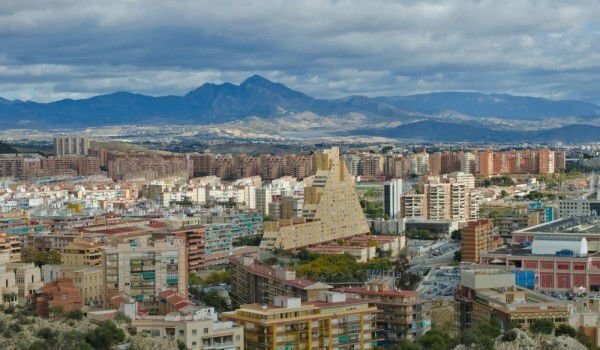 The Spanish Civil War broke out in 1936 and Alicante is the last city that remained loyal to the Republican government, before being captured by troops of the dictator Franco in 1939. In City bombings killed over three hundred inhabitants. The years under Franco's dictatorship were difficult for Alicante. However, in the middle of the twentieth century it was transformed from an industrial and agricultural center into a tourist destination. The mild climate and beautiful beaches attract more tourists. A boom in hotels and restaurants started, which unleashes a lot of new jobs. 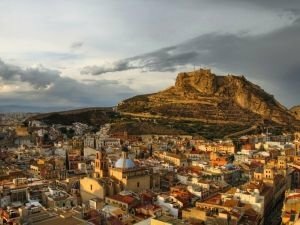 After Franco's death Alicante began to flourish as a tourist town. Among the most notable buildings in the city is the Castle of St. Barbara, which is situated high above the city. The promenade known as Explanada De España, is covered in palm trees and is covered with over six million marble tiles. It is considered one of the most beautiful walks in the country. Tourists never miss a walk along it. Park L'Ereta is situated at the foot of the mountain Benacantil, on the way to Santa Barbara Castle. Park El Palmeralis one of the favorite parks to tourists, but also the residents of Alicante. The basilica of Santa Maria in Alicante was built in the fourteenth century in a place where previously stood the main mosque of the city. The building is finished in rococo and baroque in the eighteenth century. Palace Gravina, built in 1808, is now home to the Museum of Fine Arts. The city has many museums. The most important festival in the city is that the Fogueres de Sant Joan, and performed during the summer solstice. The festival includes seven nights filled with fireworks.